This post is inspired by the ideas of Sheila from The Frugal Exerciser. 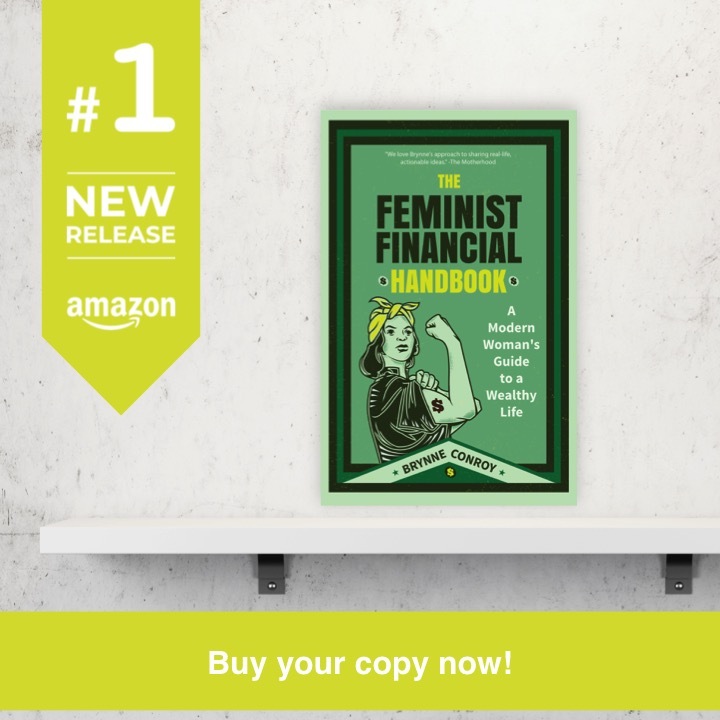 Have something you want to see on Femme Frugality? Shoot me an email. I was super stoked when Sheila told me she wanted to hear about frugal pet adoptions. I hail from Pittsburgh, home of The Humane Society, so I feel like there’s a lot of pride in our animal rescue organizations here in this city. When I had to give up my own pet, they were there for me as I walked away bleary eyed. That’s the thing about pets: they touch our hearts. And to touch our hearts they don’t need us to spend a bunch of money on them. Who cares about pedigree, trendy breeds, or fancy pet stores when there are so many shelters filled with animals who would love nothing more than a loving home? The trendy breeds cost a lot more money, while the shelter animals are affordable and come with a complimentary dose of that feel-good hormone we get when we do something decent for another living being. In Pittsburgh, there are three major shelters that I’m aware of: The Human Society, Animal Rescue League and Animal Friends. When it comes to getting a new pet, there are two things you’re generally concerned about financially right off the bat: adoption fees, and spaying/neutering/vaccinations. The Humane Society (most inclusive packages for puppies)- On the higher end of the scale, The Humane Society does offer the most inclusive package for adoptions for puppies. While a puppy under six months runs $250, that fee includes obedience classes. Dogs six months and older are $155, and their fee includes training classes. Dogs seven years and older are $50. Kittens at the Humane Society are $100. If they’re over six months old, they are $30, and if they’re 10 years or older they’re only $10. See all the animals available for adoption at The Humane Society here. Animal Rescue League (most affordable cats)- Animal Rescue League’s prices vary throughout the year. Their cats are the most affordable out of the three options, though. They range anywhere from a buyer-set donation up to $80. I was in there this weekend with a friend, and they were between $20 and $75 depending on age. Dogs range from $60 to $150, going up as the age goes down. Most of their dogs go for $125. The Pittsburgh Penguins Could Save You on Adoption Fees. If the Pens win a game, Animal Rescue League reduces their adoption fees by a certain percentage the next day. The percentage is decided by the jersey number of whoever scores a winning goal. For example, if Sid the Kid himself scored the winning goal, all adoption fees would be 87% off the next day. The Pens also do some type of calendar with ARL each New Year to help them raise money. 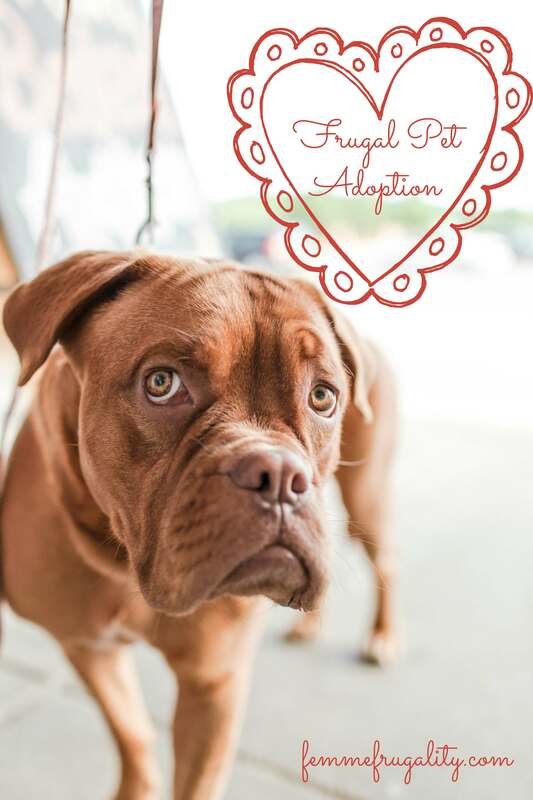 Check out the pets available for adoption at Animal Rescue League here. Animal Friends (most affordable puppies)– Animal Friends is really cool in that it doesn’t euthanize for kennel space. They also have the most affordable puppies of the three, with the youngest puppies going for $125, and those older than six months selling for $75. Their kittens sell for $100, or, if they are over six months, they sell for $75. Animal Friends also has some really cool adoption discount programs. For instance, any veteran who wants to adopt a pet age 2 or older can do so for free. If you’re a senior (age 60+,) you’re eligible for discounted adoption rates. It’s called the Golden Age Retriever Program. You can check out all of the animals currently up for adoption at Animal Friends here. If you have found a stray, taken a kitten from a friend’s recent litter, or otherwise came into a pet that has not had the proper procedures done, you’re going to want to get it spayed or neutered. The Humane Society- For dogs, spaying is $150 and neutering is $130. For cats, spaying is $80 and neutering is $60. These services also include microchipping. Sundays are Spay Days, and you can get your cat spayed for $65 with an appointment. This includes vaccinations and microchipping. Animal Rescue League- For cats, the Animal Rescue League charges $63 for spaying or neutering including vaccines. If your cat already has the vaccines, it’s only $43, but you have to be able to prove it. These are also Spay Days, and they run Tuesday thru Friday by appointment. Spaying a dog at Animal Rescue League is $152, while neutering is $131. If you have a Pit Bull it’s only $73, male or female. Animal Friends- What you pay for spaying or neutering your cat at Animal Friends depends on your income. If you make more than $40,000/year, you pay $50 to get them spayed, or $40 for neutering them. If you make less than that, you pay $25 for either procedure. Spaying a dog is $85, and neutering is $70. Similar to Animal Rescue League (only cheaper,) Pit Bulls are a lower cost to spay or neuter at only $30. 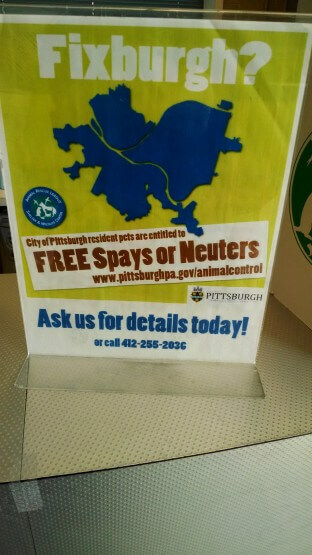 Right now the city of Pittsburgh has a program going where all city residents can get their pets spayed or neutered for free. This does not include vaccinations, but it does include microchipping (for an additional $3.) Because you’re legally allowed to have five pets, you can get up this service for up to five pets. You can get more info on the program here. Have you gotten into a spot where you can’t afford to feed your pet? The Humane Society runs a program called Ellie’s Pet Pantry that may be able to help you out with some free pet food. You can check out more on the program here. I’d love to hear more about your furry friends! How did they come into your lives? Did the costs of pet ownership surprise you? This entry was posted in Pittsburgh, Ways to Save Money on February 9, 2015 by femmefrugality. Thanks for this article. My cat Ginger adopted us a year and half ago and it made us pay attention to the feral cats in my neighborhood. The hubby and I have been doing trap, neuter and return with the Anti Cruelty Society. We now have a feral cat colony and it has been helpful that I can turn to these organizations for help. We just caught a female we have been trying to capture for one year because she is very prolific. She had 5 kittens last year and we were able to get 3 of the kittens so they can be adopted. You have to try to socialize the kittens before 12 weeks after that, it becomes too difficult and they aren’t adoptable. Anyway, we get Coco in the house(we named her on Sunday) and we find out she isn’t feral but a stray. She is so sweet. Tomorrow, she is getting spayed and getting a check up and hopefully she will be able to be adopted. We don’t have the heart to put her back outside with the feral cats. As you can see, there are services to get pets at a lower price and services for lower income families to provide health care for their pets. I love this post, great idea. I adopted my cat almost 2 years ago from The Humane Society here in Pittsburgh (she was over 7 years old, so only $10!). Best decision I’ve ever made bringing her home with me that day. I love coming home and curling up on the couch with her after a long day. I budget $40 a month for supplies and I never come close to using that amount. This way when it’s time for the vet I already have money set aside for the visit. We adopted one dog from the shelter, Two other dogs we took in as strays on the street. And we had three purebreds purchased from responsible breeders. Loved every one of them and each had unique personalities. There are pros and cons to doing it both ways, but I have to admit that when we got each one, money didn’t enter our minds. I took in a stray kitten hanging outside our home a few months ago, and have been considering getting him a friend from the shelter so he has a feline playmate. It’s great to know about all of the adoption options in Pittsburgh! The cost of a pet doesn’t really cross my mind, like the cost of a child doesn’t. They bring joy to our life. My parents always had purebred dogs. Mr. Maroon’s parents always had mutts or strays. Initially I was sad when he said he’d never pay money for a dog. Then we adopted a mutt from his sister’s litter. Best dog ever! I’m a convert to mutts now! And I think it’s hilarious that one of the shelters runs a special solely related to the outcome of the hockey game!! I love dogs too! As of now, we have two dogs but we bought it last year. Having a pet is expensive especially when they get sick but as long as you love them you will do anything for your pet. I love dogs and I think it is wonderful when people save them from the shelter. I have saved a dog from the shelter and he was a blessing to our lives. Pets are very expensive and people who are unaware of this are very surprised, but they are so worth it. My dog Max gets the top of the line treatment for I want him to live as long as possible. Thank you for sharing this post and bringing awareness.